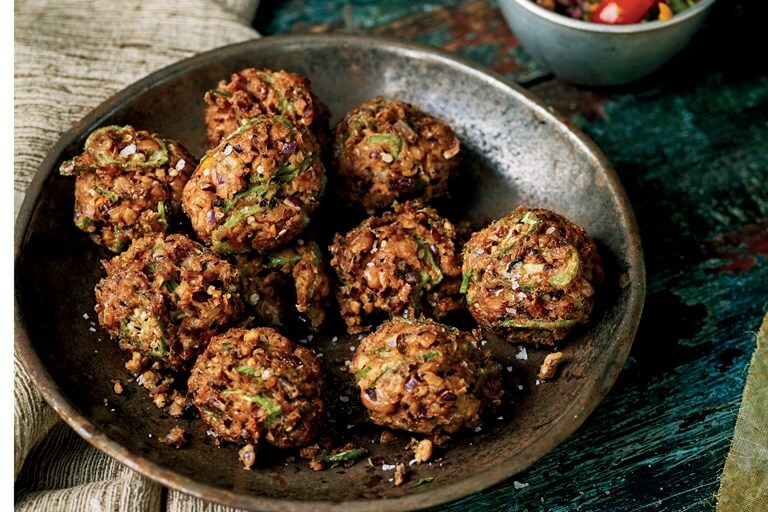 This delicious Ghanaian akara recipe (black bean fritters) from Zoe Adjonyoh makes a great snack – spicy, comforting and crisp, flavoured with okra and cayenne pepper. This recipe is taken from Zoe’s Ghana Kitchen by Zoe Adjonyoh, published by Mitchell Beazley. Photography by Nassima Rothacker. These delicious bean paste fritters go by the name of akara or koose in Ghana and are known variously in West Africa as kose, accara and kosai. Akara is commonly eaten as a snack or breakfast food, but it has many variations, as with much of West African food, it has travelled well. In New Orleans, these fritters are known as calas, in Brazil as acaraje and Barbados as pumpkin accra. Nigeria has some great variations, too, such as kara egusi (egusi being a type of melon seed). Zoe Adjonyoh is a writer and cook from South-East London. Her pop-up restaurant and supper club has been making waves in the foodie scene – both in London and Berlin – and is helping to bring traditional and contemporary Ghanaian food to an audience outside of the Ghanaian community.